WHAT: A golf driving range in the middle of a wintery Manhattan street – it is a sight not often seen and will introduce New York City to a “white-out” of a different kind. TaylorMade Golf Company and GolfSmith are teaming up to “white out” Manhattan in the most unique golf launch of the winter season by giving consumers a chance to experience the revolutionary new all-white R11 and Burner SuperFast 2.0 drivers. And if it is needed, the streets will be painted with manmade snow. Two of professional golf’s top-ranked players, Martin Kaymer and Sergio Garcia, along with Mark King, TaylorMade-adidas President and CEO, will put the new drivers in play and have a shoot-out trying to hit targets inside the one-of-a-kind driving range. Garcia and King will join four wounded warriors and special guests to educate spectators on why “black drivers are obsolete” in golf equipment while each attempt to hit the branded targets amidst snow blowers and crowds of white hats. Hit targets on the far end of the range earn a $500 donation per hit to Operation Game On!, an organization using the game of golf as part of wounded warriors’ rehabilitation efforts. 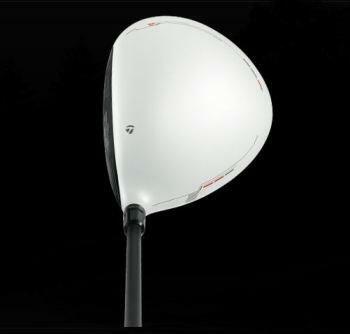 New York area golfers will also get their shot to contribute in the sea of white while receiving autographs, testing TaylorMade’s new driver and attempting to outdrive the pros. Driving range construction begins in the early morning hours outside GolfSmith on 54th Street at 3 a.m. Then once constructed, at 11 a.m., Kaymer, Garcia and King – along with wounded warriors and special guests – will tee it up in an attempt to hit branded targets to win donations for Operation Game On! This unique opportunity is designed to bring golfers out of hibernation and into the streets of New York City and to draw attention to the progressive programs the golf industry supports. 11 a.m. – 2 p.m– Target practice contest begins and product giveaways begin. WHO: Professional golfers Martin Kaymer and Sergio Garcia, along with TaylorMade-adidas Golf Company President and CEO Mark King, will have a driving range shoot out and will be joined by Operation Game On! military veterans The public is invited to try out the new clubs, win free golf gear, get autographs and have the chance to drive a golf ball down the middle of 54th Street. This is a sick idea. I love it. Whoever the ADvertising Rep. was that thought this idea up ………………………………………………………………………should get a BIG Rai$e and Bonu$ !